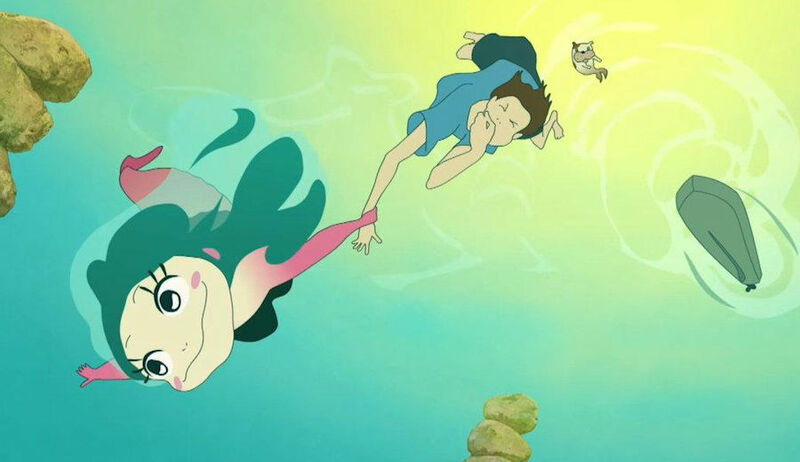 The award-winning anime Lu over the wall (original title Yoake Tsugeru Lu no Uta) directed by Masaaki Yuasa (Devilman Crybaby) get its USA release in english dubbed version. The announce comes from the distributor GKIDS that has programmed the US release on May 11. Lou over the wall is a moder fairytale thet won the Cristal award at Annecy 2017 for the best features animated movie and was in the official selection for the 2018 Sundance Film Festival. Created at Science SARU animation studios (founded by director Yuasa), the story talk about Kai, a talented but adrift guy that spending his days sulking in a small fishing village after his family moves from Tokyo. His only joy is uploading songs he writes to the internet. When his classmates invite him to play keyboard in their band, their practice sessions bring an unexpected guest: Lu, a young mermaid whose fins turn to feet when she hears the beats, and whose singing causes humans to compulsively dance – whether they want to or not. But since ancient times, the people in the village have believed that mermaids bring disaster and soon there is trouble between Lu and the townspeople, putting the town in grave danger.